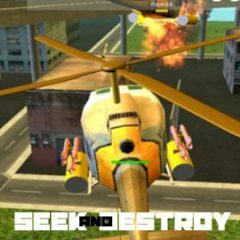 Complete missions by destroying all flying units. Just control your helicopter and launch missiles. Seek for other combat helicopters and eliminate them using vast variety of installed weapons. Control helicopter and increase your skills!